Classbedroom Nou Camp Barcelona – это апартаменты, расположенные в пяти минутах от известного стадиона Ноу Камп, принадлежащего Футбольному Клубу Барселона. Отреставрированные апартаменты состоят из комнаты с большой двухместной кроватью, комнаты с индивидуальной кроватью, комнаты с двумя индивидуальными кроватьями, зала, кухни и ванной комнаты с душем. Апартаменты расположены в районе Сантс, типичной жилой зоне Барселоны. Вы сможете прогуляться по одной из самой торговых улиц Барселоны, улице Сантс, где встретите большое количество магазинов, рынков, ресторанов и баров. В пяти минутах ходьбы имеются разные остановки метро и автобусов, которые доставят вас в цeнтр Барселоны за 15 минут. В Сlassbedroom Nou Camp Barcelona ты сможешь насладиться квартирой, имеющей хорошее сообщение с центром города и, в то же самое время, находящейся в спокойном квартале Барселоны. Кроме того, квартира находится рядом с Ноу Камп Барселоны, одним из самых посещаемых стадионов во всём мире. На этом стадионе вы можете насладиться музеем этого клуба со всеми его трофеями, большим официальным магазином ФК Барселона и незабываемой атмосферой в дни футбольных матчей. Classbedroom Nou Camp Barcelona - это идеальные апартаменты для всех любителей футбола, желающих насладиться стадионом ФК Барселоны, музеем и самыми выдающимися футбольными матчами. Nous sommes très satisfait de l'appartement au camp Nous. C'est vraiment comme dans la photo . On a été très bien accueilli et il est tres bien situé à proximité des commerces et des métro. On a tout fait en métro sans jamais prendre la voiture. Je vous le conseil vivement. Perfect location if someone is looking for a place near to Camp Nou. Check-in went quickly and fast, despite the fact we arrived very late during the night. The neighbours one floor below us were very noisy unfortunately, so my children couldn't sleep too well. But otherwise we were satisfied. Todo muy bien, la verdad. Location is good. Room is clean and nice. But the sound insulation is not good. We had a great stay. The apartment was clean and had all we needed; toaster, kettle, coffee machine, towels, etc. It was a little far from the centre but close to metro and buses. Make sure you use the Collblanc station at least once....escalators! The double bed needs a new mattress, it has an annoying sag, otherwise great place. I was very happy with the apartment. 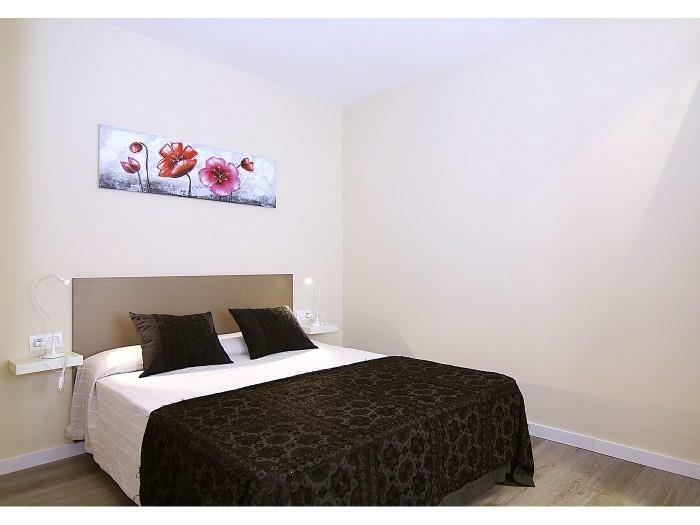 It was clean, quiet and the staff (Pau on arrival and another gentleman when we left) were very friendly and helpful. Will definitely be looking to come again. 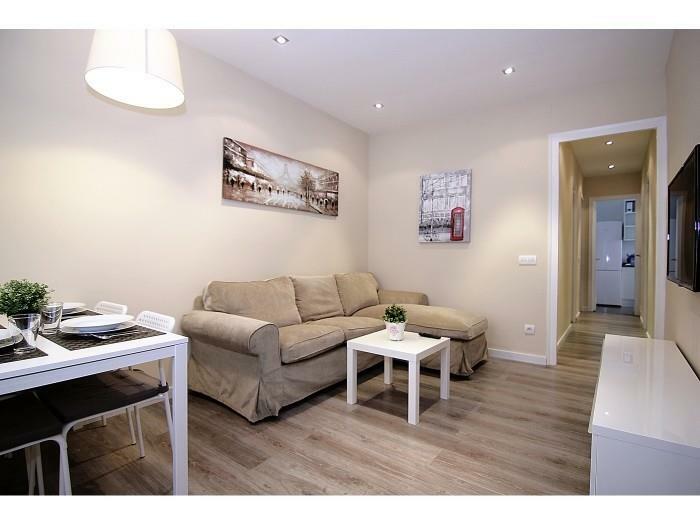 The apartment is well located in Barcelona. Very close to Camp Nou . The staff are just great and very helpful. The metro station is very close by. The apartment was very clean and well equipated. Hi, Overall our experience was good! The only thing I would say is that we could hear every single little noise so we kept on thinking that people were entering our apartment. One day someone did let themselves into our apartment which we were not happy about as they did not knock or anything. Also there was noise from the building work that they were doing directly outside of our apartment which woke us up a few mornings. The apartment was very clean and was very good value for money. The location was ok. Perfect for the metro etc. 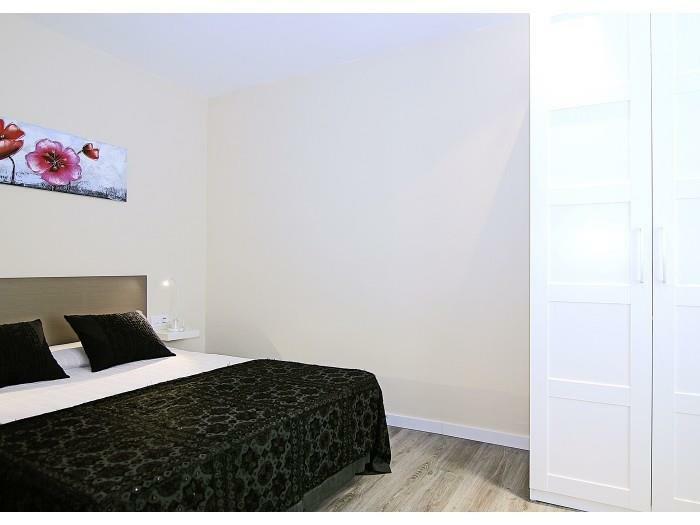 Accueil très sympathique excellent emplacement pour cet appartement spacieux et confortable sauf pour la literie du grand lit trop affaissée pour coucher à 2 sans se cogner!!! Dommage aussi que les vitres soient opaques: on se sent enfermés! Pensez à prévoir votre linge de cuisine! We enjoyed every single day staying in this apartment, which is very clean and comfortable. Stayed 12 nights, the staff came over after a week, cleaned the apartment completely n also made the bed. The kitchen has got everything we need, easy to prepare dinner. There are a lot towels. many small n big supermarkets nearby, the one we used a lot is called Dia. Many lovely shops around as well, incl Mango n Zara. 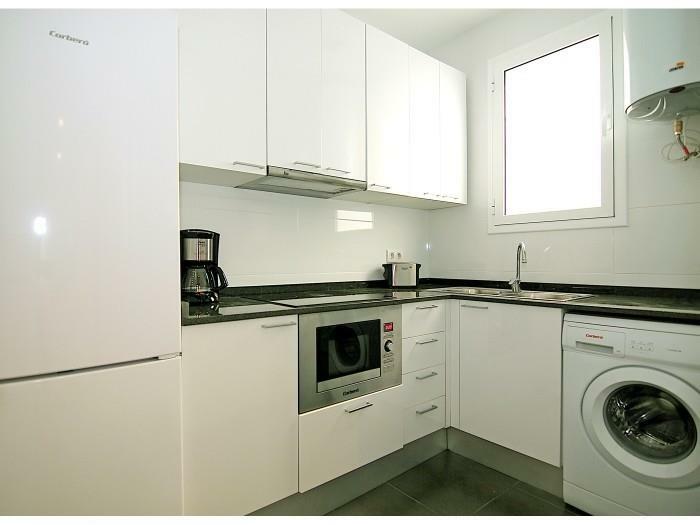 4 mins to Collblanc metro station. Only one mirror available in the bathroom, the last day before our departure we found a round table mirror in the drawer, n we were not informed earlier. It'd be really helpful to have more mirrors. Another issue is that there is no inside lock in the bathroom. Check in effortless - charming and very helpful staff. The apartment was amazing - modern with all the facilities. Small balcony in the sunshine - location was ideal for our needs. Local shops and fish market- very good value for money. Small bar across the road - full of characters. Additional cost 20€ for 20 minutes delay (20.20) is not so good 😯, your guy was very nice and polite. ClassBedroom: I'm sorry, I know is not good but you can read this information before make the booking. 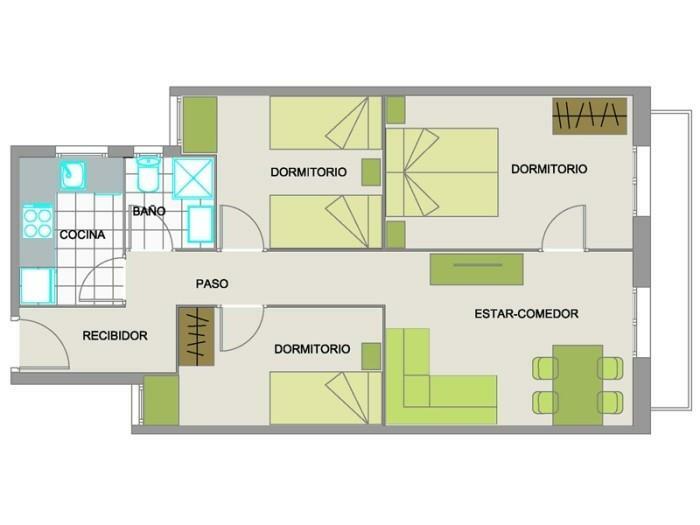 ESTA UN POCO ALEJADO DEL CENTRO, PERO EL APARTAMENTO ES UNA POCHOLADA Y ES MUY COMODO. Magnifique. 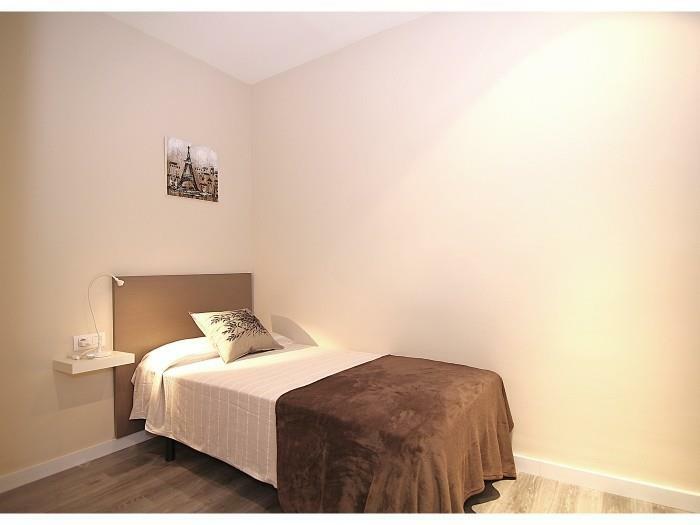 un superbe appartement bien entretenu et confortable.Merci class bedroom pour ce merveilleux séjour. It was great. One minus: the slatted bodem from the main bed was not good. Stayed here with 4 other women. Had a great stay, beds were comfortable and clean. 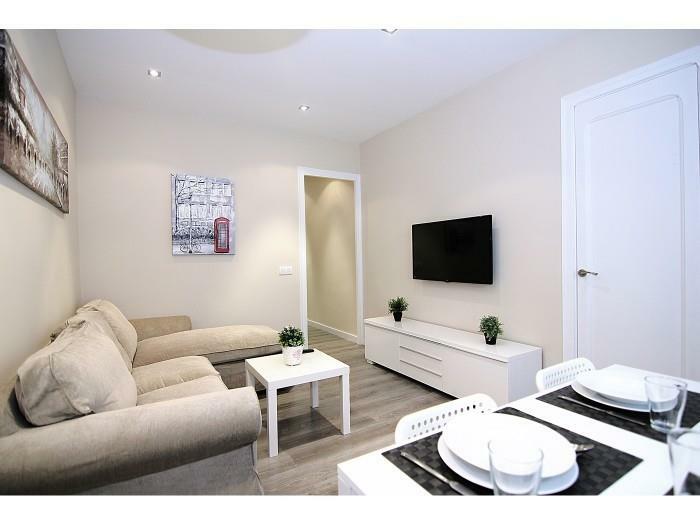 Apartment situated in a great location as Collblanc metro station is very close so it was very easy to travel around also has handy little shops nearby.